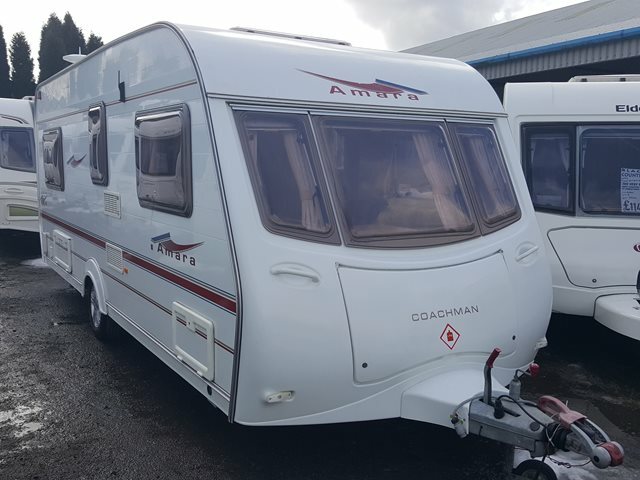 Coachman always deliver a high build quality and this Amara is no exception. The 530 features a fixed bed with adjacent washroom, a well equipped kitchen and two bench seats that create a second double. The Amara includes microwave, CD/radio player, blown air heating, alarm and full oven/grill. This is at a good price, perfect for beginners or those coming back to caravanning. For more information please contact us on 01384 413336 and ask for a member of the sales team.